Dental fillings have been providing help to all of us. This is why dentists considered this as among the most in-demand restorative treatments. However, traditional dental fillings are not appealing considering these types of fillings contain metals and alloys. Luckily, modern dentistry now offered fillings that look like your teeth. These natural-looking dental fillings aren’t like amalgams. They are not silver-like fillings. Thus, they are not noticeable and function like natural teeth. If you suffer from broken, chipped or decayed tooth, here are the several options you can consider. Composite dental filling is the most popular filling material. Dental professionals called this as composite resin fillings since the material is the perfect mix of composite fillings and resin with quartz filler to retain whiteness. Composite resin dental fillings work well if used with dental bonding. Most dentists use these two when your front teeth require restoration. Although composite resin dental fillings are beneficial especially when complementing with your remaining teeth, they are not as durable as the amalgam. Plus, this filling is also available only to small and medium cavities. Porcelain filling is also applicable to those who do not prefer composite dental fillings. Dentists usually used this to create dental inlay/onlay and dental crown. Porcelain fillings fit for those who desire naturally white teeth. Unlike composite resin dental fillings, this filling offers the most pleasing result. However, it comes with an expensive price. So if you are on a tight budget or don’t have dental insurance or dental plan, porcelain fillings may not be a good option for you. 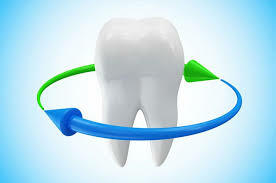 Dental inlays and dental onlays also are two popular restorations in dentistry. Unlike the two restorations above, these restorations require dental lab process to ensure they fit to your mouth and teeth. Usually, dental inlays and onlays require two dental visits. The main reason is to wait for your custom-made get finished. Nevertheless, if your dentist is using the dental technology called CEREC, you can get your personalized inlays and onlays in one day. Glass or resin ionomers is pretty efficient when used as your filling material. This comes with acrylic acid and resin that can mimic the translucence quality of your natural teeth. However, ionomers are sometimes prone to breakage. Therefore, it is only advisable to apply on teeth areas that are not susceptible to stress. There’s nothing more durable than your natural teeth. Thus, always remember that fillings may not become a necessity. Practice dental care and good oral hygiene to maintain your teeth intact and strong. Brush your teeth on daily basis and floss them. Meet your dentist twice a year, too. Regular dental visits complete your dental care regimen. This undertaking allows you to monitor your oral health and see if your teeth are free from bacteria and warning signs of dental problems, like tooth decay. If you want for a filling because of toothache, you can visit an emergency room for tooth pain. Meeting with a professional dentist will help you understand whether or not you’re fit for a dental filling procedure.